* Dual Action, Bottom Feed, Internal Mix-The 155 (Anthem) sprays flawlessly for hours on end. 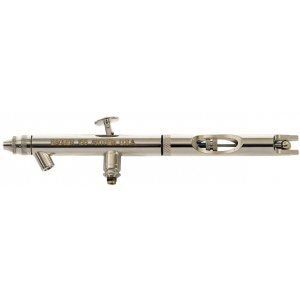 * It features a patented easy access needle removal system, and sprays a wide range of mediums at pressures from 15 to 115 PSI. * Many professional T-shirt artist, production modelers, and industrial finishing technicians make their living with the 155. * The 155 is a cost effective, dependable, precise, easy to maintain finishing tool.